The older approaches for marketing just aren’t cutting it for your company anymore, the digital age has transformed advertising, and successful business owners know they need to develop plans to change and adapt. That’s why more and more companies are turning toward Pay Per Click Advertising Services (PPC) as an effective way to generate leads by focusing their resources in the right area. When your ads are properly optimized, prospective customers who were already searching for you online have a considerably easier time locating you. At CoSapient, our qualified staff of PPC generators combine years of experience with the latest marketing data to get you the leads your business needs. The Plano PPC management services offered by CoSapient can boast a 100% success rate in our ability to optimize Google PPC campaigns for our clients. In a typical pay per click campaign, payment is based on the amount of qualifying click-throughs to your site. The websites with the greatest number of click-throughs appear in premium positions on the search engine results page (SERP). While our marketing professionals fully support organic placement, a strong PPC advertising campaign can prove an invaluable tool when it comes to targeting your company’s desired customer base. Factors such as education level and gender greatly influence the effectiveness of PPC advertising, making it necessary to implement specific keywords in order to reach your intended audience. An ad will rank higher or lower on the search engine results page based on a keyword’s maximum cost-per-click (CPC) bid and Quality Score. Our PPC campaign strategies can pinpoint the exact keywords and phrases that are most relevant to the services or products your company is selling. By identifying effective keywords, we can greatly increase not only the number of visitors to your site in general, but the number of visitors to your site who are most motivated to buy your products or request additional information. To get the most out of your budget, our PPC managers have strategies in place to identify the most effective keywords for your advertising campaign. While Google Ads are one of the more frequently used advertisements, CoSapient believes in using a diverse approach to marketing, and offer a variety of Pay Per Click Advertising to maximize lead generation. As previously mentioned, google ads are debatably the most well-known Pay Per Click method used by businesses. Incorporating images, text, and banner ads into your advertisements, Google ads can be highly effective for generating customer leads. CoSapient’s Plano PPC search management services encompass much more than just keyword identification. Our professionals will also focus on increasing your company’s website traffic from the major PPC provider networks, as well as locating the geographic areas that will generate the most amount of traffic at a cost well within your budget. We further specialize in the area of Social Media ads. The beginning of 2018 saw more users logging into Facebook on a daily basis than ever before, almost doubling in each passing year, with an additional 100 million monthly user on their secondary sites like Instagram. The viability of advertising on social media has never been greater or more affordable, investment in social media ads moves your product or services from the periphery to the direct attention of your intended audience. Our skilled PPC managers will track the performance of your ad campaign and analyze the results to provide your company with the best tools for your success. We can review these performance findings with you and offer solutions for increasing the number of conversions through our daily campaign management. Its expected you might ask yourself “how could PPC advertising help me generate leads?” after all, the goal here is to maximize your ROI, so business owners maintain full awareness about where their money is going and what they’re getting for it. Surveys conducted by Hubspot have indicated that nearly 63% report lead and traffic generation as their top concerns, with research indicating that an incorporation of PPC Advertisements with optimized organic searches (link to SEO Page) can increase traffic by as much as 25%. 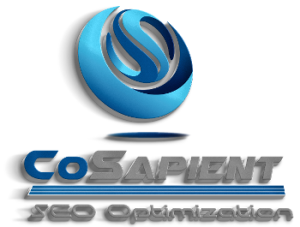 CoSapient is more than just a pay per click management company; we can also provide online reputation management, search engine marketing, and social media marketing services. Our Plano PPC management services, however, are an affordable and integral part of creating a strong online presence for your brand. 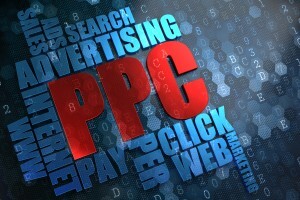 Ready to work with the best PPC management company? Contact us and we’ll show you how we’ve helped thousands of clients manage pay per click. We’ll discuss all of your options and develop a PPC advertising plan to use for your business going forward. We don’t “sell” anything here, our clients have chosen us because we provide proven results, every time. Generate your free SEO Report Card here.